Line 6 has finally released their Helix Native plugin. 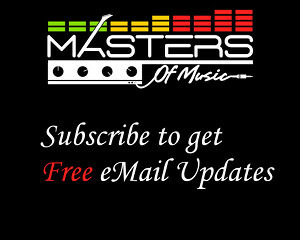 It brings the same exact amps, effects and overall sound as the Helix hardware in plugin form to use in a DAW. Helix Native is a full-fledged amp sim package. It comes with over 62 amps, 37 cabs, 16 mics, and over 100 effects. You can fully customize your signal chain within the plugin and import presets from other Helix gear. It comes with a ton of presets and also supports loading in 3rd party IRs. 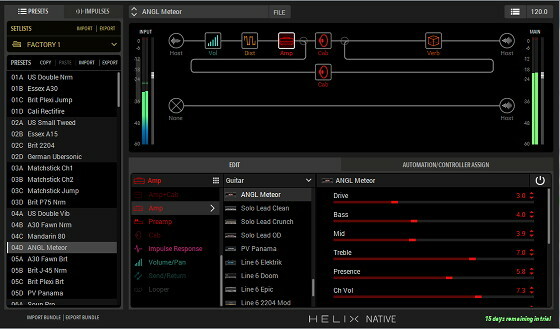 The Helix Native plugin comes in AAX, AU, VST3 and VST2 formats. There’s a 15-day fully functioning demo available so you can test it out before you buy. I tried the demo briefly this morning and some of the presets sounded pretty good, but compared to other amp sims packages Helix Native is lacking in some areas. There is no standalone program, it has no fancy graphics, it doesn’t have a tuner, presets aren’t very organized, and the UI is surprisingly minimalistic. But none of that matters a whole lot if it sounds good.